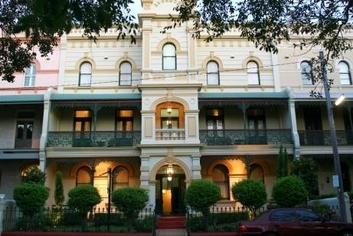 Perfectly positioned in Sydney's eastern suburbs, Avonmore on the Park is close to Sydney's CBD and many other key tourist and business sites, such as Coogee Beach, Fox Studios, Randwick Racecourse, Sydney Cricket Ground, Sydney Football Stadium, the University of New South Wales, Prince of Wales Hospital, Royal Hospital for Women and Sydney Children's Hospital, providing the perfect location for tourists and corporate visitors alike. 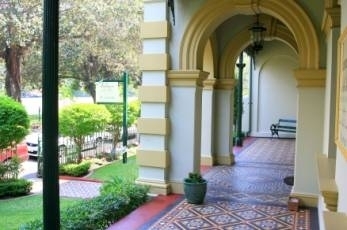 Avonmore on the Park - a four star boutique hotel is a luxurious fully restored, three-storey late Victorian mansion, and comprises 23 gracious rooms, including two with disabled facilities, and features a beautiful courtyard garden. Serviced daily, each room has private bathroom facilities, LCD HD colour TV, telephone, fridge, microwave, cooling fan and oil heating. Wireless Internet connection vouchers, limited convenience items (drinks, chips, nuts) and fax facilities are available to be purchased from Reception. There are laundry facilities (coin operated) on the premises or a dry cleaning service is available within a short walking distance. Reception is attended 24 hours, taxi transfers can be arranged. With excellent transport links close by, Avonmore is only 20 minutes by taxi from the Airport and City CBD or 25 minutes by bus. 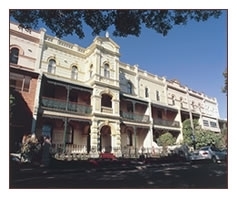 Built in 1888 by John Walsh, Avonmore boasts a permanent heritage listing and is reputed to be one of the largest terraces in Sydney. With the classic lines of the building just a stone's throw from peaceful, tree lined Alison Park, your stay with is sure to leave you relaxed and satisfied. Wireless Internet connection is available throughout the Hotel and vouchers can be purchased from Reception. Fax & photo copy services are also available. Check-in time is 1400 (2pm). Please contact Reception to arrange early or late check-ins. Cancellation Policy NO REFUND if room cancelled within 48 hours of check in. 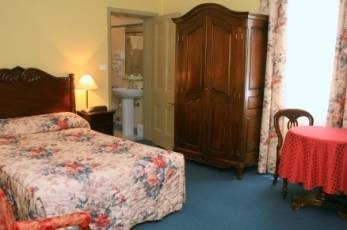 Garden Room, Rates are per room for 2 people, maximum of 2 guests only. Heritage Family Suite, Rates are per room for 3 people, Maximum of 4 guests can be accommodated for an additional charge of AU$30.00 p/night. Child under the age of 10yrs can be accommodated free of charge. Garden Family Duplex, Rates are per room for 2 people, Maximum of 4 guests can be accommodated in the room. 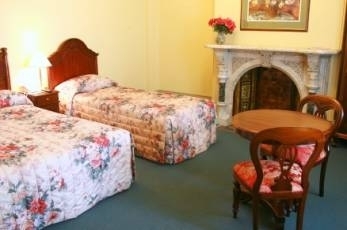 Heritage room, Rates are per room for 2 people, Maximum of 2 guests only. On-street parking is available 24 hours a day on The Avenue. The hotel offers (first in, first served) 3 secure car parking spaces (camera surveillance) located at the rear of the property. Gain access via Alison Road. Centrally located in historic Randwick, Avonmore on the Park is readily accessible from both Sydney CBD and Sydney International and Domestic Airport. Avonmore is 15 minutes by car from the CBD. From the City take Anzac Parade towards Randwick. Turn left onto Alison Rd, passing the Racecourse. After crossing Belmore Rd, turn left onto The Avenue (by the Police Station). From Sydney Airport, our Hotel is 15-20 minutes by car. Exit the airport taking the Southern Cross Drive towards the city. Continue north on Southern Cross Drive until you reach the Moore Park Supacentre Retail outlet. Turning right onto Dacey Ave just past the Supacentre and follow it straight thru until it becomes Alison Rd. Follow past Randwick Racecourse, cross over Belmore Rd and turn left onto The Avenue (by the Police Station). Avonmore Boutique Hotel is 25 metres on the right. Avonmore is surrounded by a host of entertainment options. Restaurants line nearby Avoca Street and Alison Road, while the Ritz Theatre, Randwick Racecourse and Centennial Park are only a short walk away. Fox Studios, The Sydney Cricket Ground, Sydney Football Stadium and Coogee, Clovelly, Bondi and Tamarama beaches are also nearby. Randwick shopping centre is a short walk across beautiful Alison Park, while busy Bondi Junction and cosmopolitan Double Bay are accessable by car, bus or taxi.